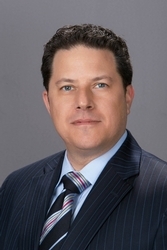 Jason Lee DeFrancesco is a partner in the Princeton, N.J. office of Hill Wallack LLP. He is a member of the firm's Intellectual Property and Corporate Law practice groups. Mr. DeFrancesco concentrates his practice on trademarks, copyrights, patents, infringement litigation and intellectual property law. His practice is both national and international, with focus on food, alcohol, medical, retail fashion, chemicals and mechanical arts. Mr. DeFrancesco earned his J.D. from Albany Law School, and during his time there he was in extern under Administrative Judge, James Housel, at the U.S. Patent and Trademark Office. He earned an M.S. in Physical Chemistry at Georgia Institute of Technology, and a B.S. in Chemistry at Florida State University. Mr. DeFrancesco is admitted to practice in New Jersey, New York (2013), Florida (2004), Washington, D.C. (2007), the Ninth Circuit, the Third Circuit and before the United States Patent and Trademark Office.